"Brimbank - The Story So Far" is a monthly recap of Brimbank events and news. We announced the very deserving Brimbank Australia Day Awards winners. Kim Thien Truong was our Citizen of the Year. Maima Massaquoi was named our Young Citizen of the Year. Brimbank's Australia Day Citizenship Ceremony was once again huge with 220 people becoming new Australian citizens. The ceremony was attended by opposition leader, Bill Shorten. With entertainment and a community BBQ it was a great day all round! Ambulance Victoria staked their claim in Sunshine announcing their Ballarat Road headquarters would get a $1.9 million upgrade to be the largest metropolitan branch. The "facelift" of St Albans Leisure Centre's change rooms got underway. Renovations are expected to take approximately 12 weeks. The Light Up Sunshine: Movies in the Park sessions continued with lots of families out to catch Rise of the Guardians and Journey 2: The Mysterious Island. The good times keep rolling on with forthcoming movies How to Train Your Dragon 2 (Jan 31), Cirque du Soleil: Worlds Away (14 Feb) and the Lego Movie (28 Feb) . 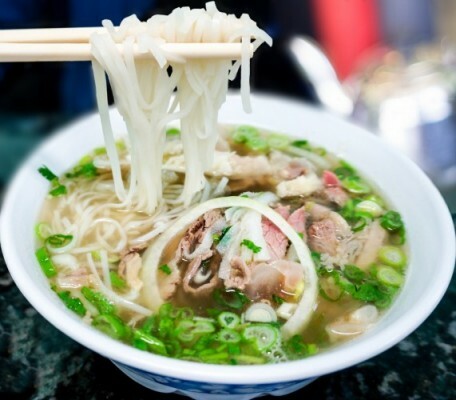 If you love your Pho then you'd better hurry and get tickets for this year's Sunshine Pho Fever! 2013 and 2014 were both sold out. Buy your tickets online now! $45 each. And last but not least applications for our Community Leadership Program opened. If you're 18 years old or over and live, study or work in Albion, Ardeer, Brooklyn, Cairnlea, Deer Park, Derrimut, Sunshine, Sunshine North or Sunshine West, you can get involved.